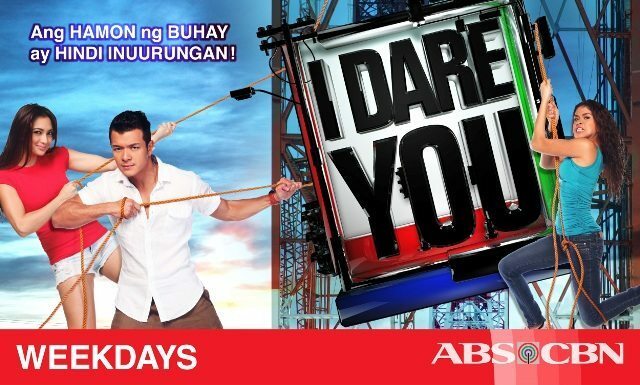 ABS-CBN’s News and Current Affairs division and TV Entertainment Group have joined forces for the very first time on a new reality show on Philippine TV, “I Dare You,” which is set to change the views and lives of famous and ordinary Kapamilya starting Monday (July 11). The “Bidang Kapamilya” are everyday Pinoys who bravely face life’s challenges no matter how hard they get. They are the market vendors, the teachers in far-flung areas, the laborers, stuntmen, garbage and junk collectors, farmers, senior citizens, people with disability, among others. Celebrity Kapamilya challengers will enter their world and experience their lives first hand to understand their way of life and to also to help win a reward for them by beating other celebrities in the challenge. Join Jericho Rosales, Iya Villania, and Melai Cantiveros as they put the focus on Filipinos who do not back down from life’s challenges in “I Dare You,” from Monday to Friday beginning July 11, before “Mula sa Puso” on ABS-CBN.